Clth, 9 x 11.5 in. / 144 pgs / 85 color. 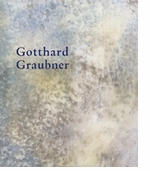 "Graubner's painting develops entirely out of the organisation of colour. What he is concerned to do, is to work out the true qualities of colour in a consistent fashion. He does not understand colour simply as a means, as the tool with which to implement a variety of painterly ideas, it is in fact the core of the picture as he conceives it. His aim in this is to explore colour, and to go on exploring it until he arrives at the principles that are inherent in it. He addresses colour as the peculiar, the factually irreplaceable element in the process of picture-making. What his pictures stress from constantly new perspectives is the richness of colour, the infinite variety which defies all attempts to pin it down to one concept." 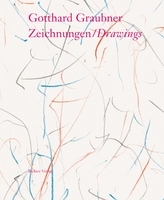 Heinz Liesbrock, excerpted from Embodying Colour in "Gotthard Graubner: Painting. 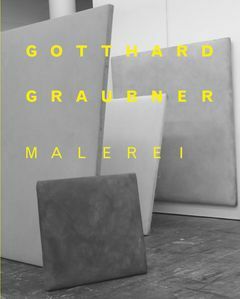 Essays by Dietrich Helms, Volker Rattemeyer. FORMAT: Clth, 9 x 11.5 in. / 144 pgs / 85 color.